"Mom, are you here?!" Gravitas Ventures has debuted the first official trailer for a horror film titled Along Came the Devil, another new exorcism horror feature to go along with the 1,000 others we've seen in the last few years (including even William Friedkin's The Devil and Father Amorth). Inspired by true events, Along Came the Devil stars Sydney Sweeney as a woman who is sent to live with her estranged Aunt Tanya. While there, she starts to contact the spirit world after having visions of her dead mother and she unleashes a great evil. The full cast includes Jessica Barth, Matt Dallas, Madison Lintz, Heather DeVan, and Bruce Davison. The trailer sells this hard as an "exorcism movie for a new generation", but there's nothing in here that makes me seem like it has anything new to offer. Maybe it's just me. Take a look. A troubled teen Ashley (Sydney Sweeney) is sent to live with her estranged Aunt Tanya. While in her old hometown she has visions of her deceased mom, driving her to try to contact the spirit world putting her soul into grave danger. 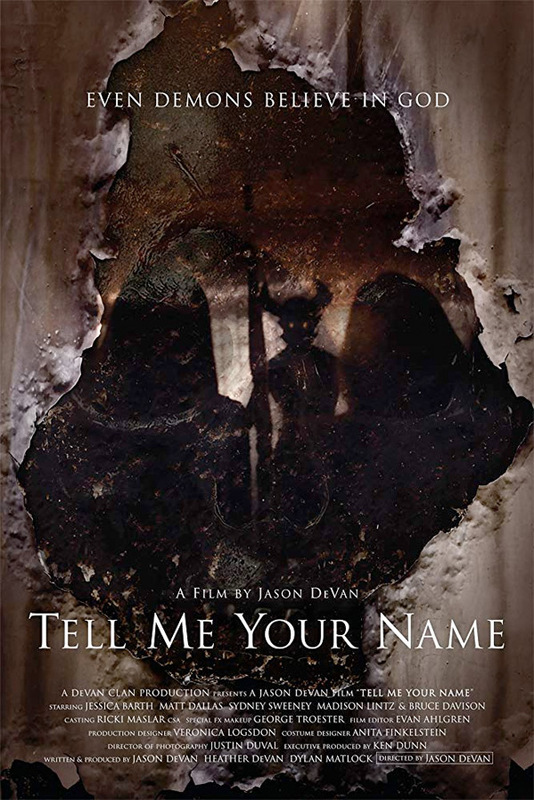 Along Came the Devil, formerly Tell Me Your Name, is directed by actor-filmmaker Jason DeVan, director of the film Mindless previously and a few other horror projects. The screenplay is written by Jason DeVan and Heather DeVan, and Dylan Matlock; from a story by Jason DeVan. This first premiered at the Atlanta Film Festival earlier this year. Gravitas Ventures will release DeVan's Along Came the Devil in select theaters + on VOD starting August 10th this summer. Anyone interested in seeing this?